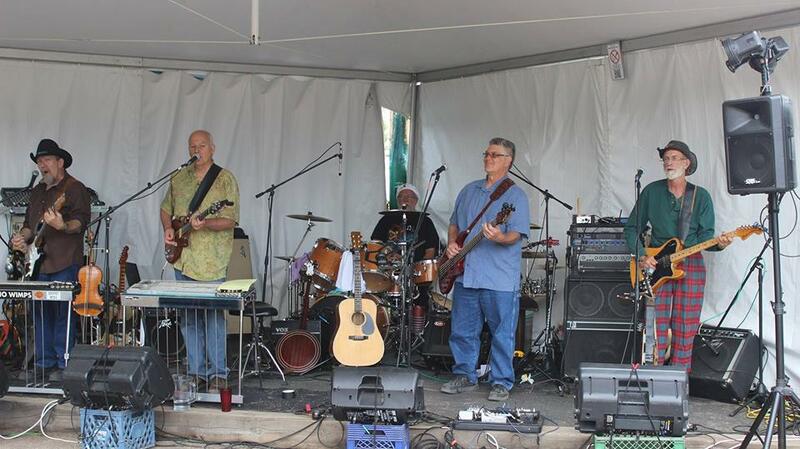 The Alamosa Live Music Association is pleased to present Tumbleweed at Sundays at Six, July 29, in Cole Park, Alamosa. Go to Leon Memorial Hall at ASU, in case of rain. We’re thrilled to be hosting these gents, who are such an important part of the musical memories of so many people in the San Luis Valley. Tumbleweed originally formed in the fall of 1973 to be the house band at the newly opened location of the Goalpost night club in Alamosa, Colorado. Although there were no plans for any sort of long-term endeavor, the band quickly started collecting legions of fans and realized there was something going on worth sharing and continuing. The band started branching out and over the years began touring extensively in their native region of Colorado and New Mexico. Tumbleweed always seemed to feel most at home in the mountain resort areas and became regulars at such well-known clubs as the Old Dillon Inn in Silverthorne, Colorado and many other high country clubs. The band’s music was always characterized by wide-ranging variety, eclectic selection, and intricate and challenging arrangements. Although usually thought of as a country band, Tumbleweed played (and plays) material from rock to blues to reggae to bluegrass to old hippie anthems and pretty much whatever they feel like. With several active songwriters in the band, there was always a mix or original and cover material happening. It was always an interesting night, and no one (least of all the band) was ever sure what was going to happen. Tumbleweed is a 5-piece fully electric powerhouse of a band, with a wide range of instruments including acoustic and electric guitars (often 3 lead guitar players) bass, drums, pedal steels (2 onstage) mandolin, accordion, fiddle, banjo, harmonica, trumpet, and even a clarinet making an occasional appearance. Numerous different musicians moved through the ranks of Tumbleweed over the years, with the current lineup being the same as featured on their last studio album “Welcome” – Don Richmond on guitars, fiddle, banjo, pedal steel, harmonica, trumpet and vocals, Rob “Robear” Bosdorf on guitar, pedal steel and vocals (and clarinet if he’s feeling brave), George Egbert on drums and percussion, Roger Dawson on bass and vocals, and Scott Russell on guitar, mandolin and accordion. And you still never quite know what’s going to happen! But it will be fun! Sundays at Six is generously sponsored by: 1st Southwest Bank, Alamosa Home, Alamosa Local Marketing District, Alamosa State Bank, Arby’s, City of Alamosa, Comfort Inn & Suites, Crestone Eagle, Hunan Chinese Restaurant, IHOP, Jay Meyer Insurance, Kavley’s Business & Tech Center, Kenneth King Foundation, KRZA, KW Farms, Movie Manor, Myers Brothers Truck & Tractor, Porter Realty, Rio Grande Savings & Loan, SLV Federal Bank, SLV Health, SLV Rural Electric Co-op, Steffens Quality Plumbing, Super 8, Treasure Alley, Valley Courier, Valley Motel, Valley Wide Health Systems, Wall, Smith, Bateman, Xcel Energy Foundation and 2018 ALMA members. 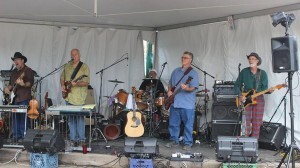 Sundays at Six is a free outdoor concert series in Cole Park, Alamosa. Concerts start at 6 p.m. Check out this year’s lineup. In case of bad weather, go to ALMA’s website and Facebook page to find out about cancellations or change of venue.